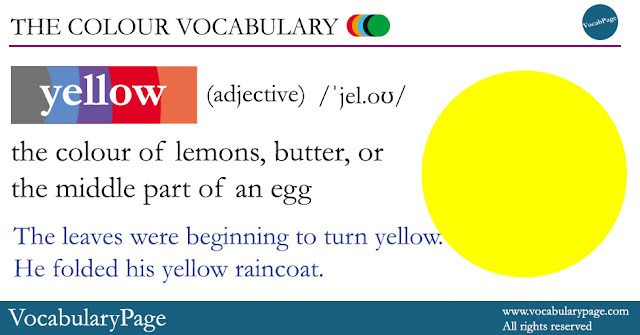 The adjective yellow belongs to the Color/Colour Vocabulary. The leaves were beginning to turn yellow. He folded his yellow raincoat.